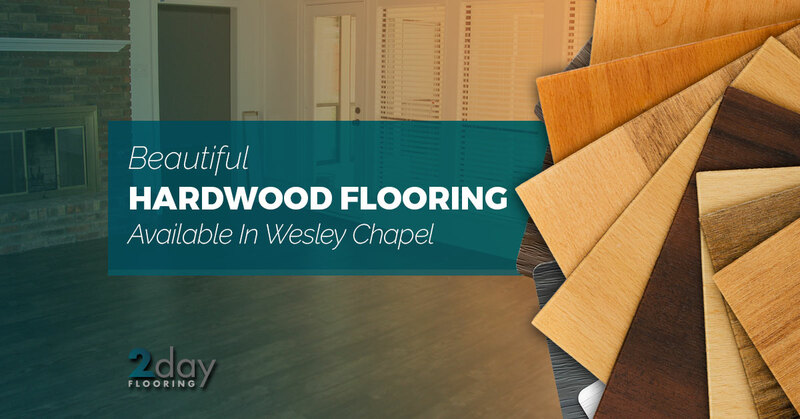 Hardwood is one of the most beautiful flooring options that you can have installed in your Wesley Chapel home. Choose from a variety of rich and warm hardwoods to update your floors and make your home look brighter, more spacious, and more beautiful. Hardwood floors are a classic, timeless option that are sturdier and easier to maintain than many people think. They are a great option for many people, and 2 Day Flooring can help you pick the best hardwood floors for your home and lifestyle. Contact us today if you’re interested in having new hardwood flooring installed. Hardwood flooring is more versatile than it’s given credit for. Though it provides beautiful warmth and texture to spaces like your living room and dining room, it is also a practical option for bathrooms, laundry rooms, and mudrooms because it’s highly durable and easy to clean. It also adds an extra touch of sophistication to make these spaces feel just as warm, inviting, and homey as other rooms in your home. It’s a classic option for your home, adds character and style, and offers great texture and color to any room of your house. 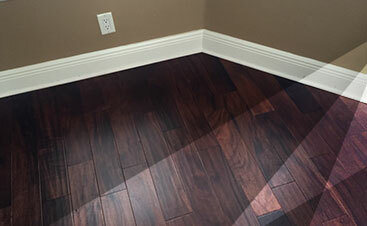 Adding hardwood flooring to your Wesley Chapel home has many benefits. It’s an easy material to customize because there are dozens of wood types, stains, and finishes available. You can choose from different wood harnesses, find the perfect texture for each space, pick from light or dark colors, and explore finishes that work for your lifestyle. Hardwood is a classic, sophisticated material that can help open up and brighten a space while adding texture and color. Your hardwood floors can be subtle and blend in with their environment or be bright and be the statement piece of the room. If you’re looking for a more antique and shabby-chic look, highly textured and weathered-looking hardwood floors are a great option. If you want your space to be clean, fresh, and sleek, polished and glossy hardwood is perfect. No matter your taste, there’s a hardwood flooring option available to match it. We know it can be difficult to find a flooring company that you trust to do a quality job and charge a fair price. At 2 Day Flooring, we are dedicated to customer satisfaction and provide professional flooring services that you’ll be happy with every single time. 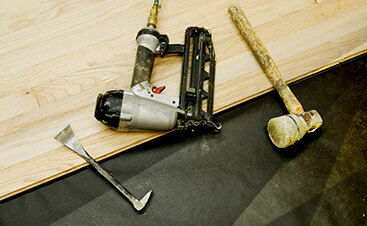 We offer in-home estimates, so you know exactly what you’ll be spending on your new flooring when you hire us. We also offer suggestions if you’re not sure what you want, or we offer recommendations if there’s a better flooring option available for your wants and needs. We care about providing a quality service in a timely manner. Our experienced professionals are able to install your new floors quickly so you can get back to your daily routine without hassle. If you’re interested in having hardwood flooring installed in your Wesley Chapel home, contact us today!